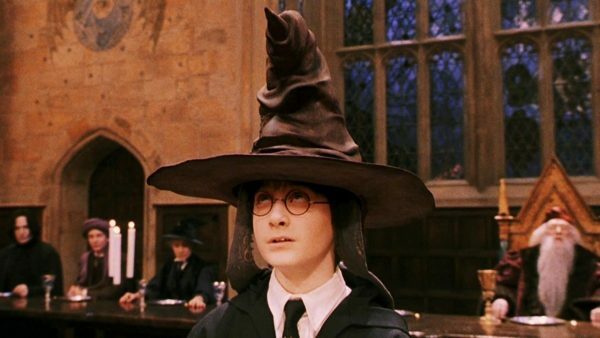 One of the first onboarding steps required for students when they arrive at Hogwarts School of Witchcraft and Wizardry is being placed into a House by the Sorting Hat. Each young wizard and witch is asked to sit on a stool and the dusty old Sorting Hat is placed on her head. I imagine this ritual is one of infrastructure and resourcing; how can Hogwarts staff make sure there are enough beds in each of the four houses? Class size, group dynamics, teacher ratio… it’s all relevant to this moment. But a young wizard’s House is not only about what the school sees in him. It is also a moment of clarity, a searching into his inner self to ask: who are you really? And what kind of path will you walk while you are with us? Whether your company does annual reviews, quarterly check-ins or regular PIPS, both sides of this Hogwarts moment is present in these conversations. How does the company see you? And how do you see yourself? As a manager, you must find a way to have both sides of this conversation present… and to keep HR happy in the end. Let’s dig into some details. How does the company see the employee? As a manager, it is your job to tell the employee where the company needs her to go. Is there a leadership opportunity for her? Does she need to make progress on her efficiency and output? Do you want her to share her insights with other teams so they can benefit from her talent? This is your chance. Give the employee a lay of the land, as frank as you can be. Share examples of when her behavior was a model for the team. Share examples of times when you felt like she got in her own way. Tell her what opportunities lie ahead of her and how you can be a resource in getting to them. If you have critical feedback and neglect to give it, that’s your bad, not hers. You can’t expect her to magically improve; she must hear your expectations so she can build her definition of success accordingly. How does the employee see herself? The reason we work will evolve across the course of our careers. Some years we work because it is our deepest passion and we can barely sleep because we’re so in love with our missions. Other years we work because we need health insurance and we enjoy our job enough to make it worth it. Still other years we work because we like the people or the commute or the mentoring we’re getting via our current manager. All of these reasons are valid to stay in a job. What you want to hear, as a manager, is what your employee’s intention is for the next stretch of work. Does he have family obligations that require him to work from home more often? Is he jazzed about adding a new skill to round out the team? Does he want an opportunity to mentor others? The intention he has for work is highly relevant in a performance review… because you both might be measuring different definitions of success! Of course if he says he wants to work 2 hours per day so he has enough time to become a badass skier, he may be misaligned with the company and that’s worth a conversation. But finding this out sooner rather than later (after he has blown through deadlines and all margins while on the slopes!) is the most beneficial to you. So if you’ve done it right so far, both the company and the employee see the same definition of success. It has been a collaboration of sorts, a combination of what the company needs and what the employee is hungry for. If you can make this happen, GOOD JOB! Magic! As a byproduct, you both have a memory of a time when you listened to each other. In this way, you have built trust and shared perspective. You can leverage this daily until the next performance review and it will make managing and succeeding WAY easier. Warning: If you are not the most senior manager at the company, you may find yourself squeezed in the middle. The Company says to tell the employee XYZ and you hear that the employee wants ABC and you are inclined to agree. Welcome to middle management, where playing the role of messenger and diplomat is a daily operation. In this case, help your employee check the boxes necessary to be successful in your environment… and then find ways to get her some of what she wants, too. No one side should expect to get everything. Oh, HR. We need you but you can also be a buzzkill. Managers: sign the papers and fill out the forms and navigate the system as authentically as you can. HR is doing their best to keep the company (and hopefully the employees) safe and there will be moments in your career when you will really appreciate this. But don’t let the legality of performance reviews dictate their momentum. Performance reviews are opportunities to listen to one another and mutually define future success. Move into your season of reviews with this in mind and let go of society’s anxiety about them. If you can be subversive and transform what can be scary into something meaningful, you’re basically a wizard! Are you a manager? Want to learn more about performance reviews and maybe even make sly Harry Potter jokes? Join us for the next So Now You’re a Manager training this summer in Seattle. We’re going to talk about it all, normalize modern managing and help you find your way through it with a bunch of new friends.